Aromatherapy is the use of essential oils, created from natural plant extracts or other plant compounds, resulting in aromatic fragrances that promote beneficial effects to the mind and body. The aromatic blends are created from flowers, leaves, grasses, roots, wood and fruit peels. In practice, steam shower aromatherapy is the infusion of essential oils into the heated water vapour (steam) that fills the shower cabin. See what steam, bath and sauna aromatherapy oils are available to buy here. With over 9000 years of history, the therapeutic use of essential oils has long been explored . 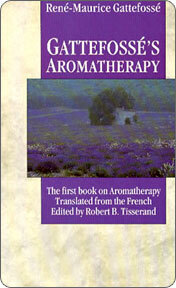 One of the founding fathers of modern aromatherapy was Rene-Maurice Gattefossé who first publically coined the term aromathérapie in December 1935 . He studied the therapeutic effects of the oils and was amazed with the benefits that lavender oils had when treating his own burns and the burns of World War I victims. Aromatherapy is not meant to replace traditional medical care but in fact be an adjunct to enhance the state of mind or body. Further work by Jean Valnet and others found that different aromatherapy oils have antiseptic, anti-viral, anti-inflammatory and various other healing properties. In fact, all essential oils that are 100% pure are antibacterial  and only nature can produce whole essential oils . The recent ascent in popularity amongst steam showers has provided an additional way to experience aromatherapy at home. Cooksley  evokes us to imagine massaging away an aching back with the lingering scent of geranium and lavender; masking away the aging signs with a nightly mix of the eight essential oils of youth; or invigorating your body in a bath bubbling with herbal oils and honey. The use of aromatherapy oils in a steam shower is the perfect way to enhance your steam bath experience while enjoying the fragrant aromas. In fact, about 100 essential oils are commonly used, each having its own unique properties and associated effects. 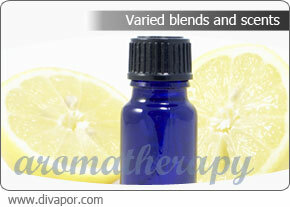 Aromatherapy has been shown to calm and relax emotions, while enhancing attention, concentration and focus. The smells and aromas in the steam shower will trigger a signal that travels to the pituitary and hypothalamus in the brain. This smell is then interpreted to evoke a memory or response within the body. 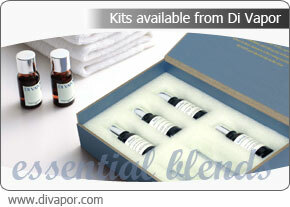 Furthermore, the essential oil is breathed into the lungs and can provide additional physical health benefits. In fact, the effects of aromatherapy can vary between users, surroundings, time of day and mood also being contributory factors. Scientific research into the health benefits associated with aromatherapy and the application of essential oils is continually growing. The nature of some trials is that they show positive results but can be subjective or provide qualitative findings that are not always statistically significant. However, while certain benefits may be overstated, much evidence suggests that there are numerous medical conditions that can be aided by steam shower aromatherapy. Yim et al. recommends that “aromatherapy could continue to be used as an alternative and complementary therapy for patients with depression and secondary depressive symptoms arising from various types of chronic medical conditions” . Other research by Adolfina et al. notes that the complexity of many diseases may benefit with treatment using varying complementary therapies. They note that essential oils may have many new applications in treating various diseases of differing origins, such as fungal, bacterial, viral or cancerous. A steam shower may have an inlet compartment located on the rear panel of the shower cabin. However, more commonly the steam outlet fixture may have a chamber or pocket into which the essential oils can be placed. The aromatherapy oils will then be diffused through the cabin as the steam passes over the oils. Typically, 5-8 drops of a chosen essential oil will be placed into the inlet compartment. This means that a small 10ml bottle can last for numerous aromatherapy sessions, while a box set could easily last for a years or more. Due to the high concentration of essential oils it is generally not advised that they should be applied directly to the skin. Aromatherapy has been shown to be a complementary holistic therapy that can help maintain or improve your emotional and physical health. This introductory article explored some of the benefits associated with aromatherapy. However, please read a specialist book for more detailed information. Aromatherapy: Soothing Remedies to Restore, Rejuvenate, and Heal. Valerie Gennari Cooksley, R.N. Please note: Di Vapor is not responsible for the views, opinions or advice represented in the articles on this site. If you plan to use a steam room for any health program or suffer from any illnesses then you are advised to consult with your doctor before use. Copyright © 2009 Di Vapor.